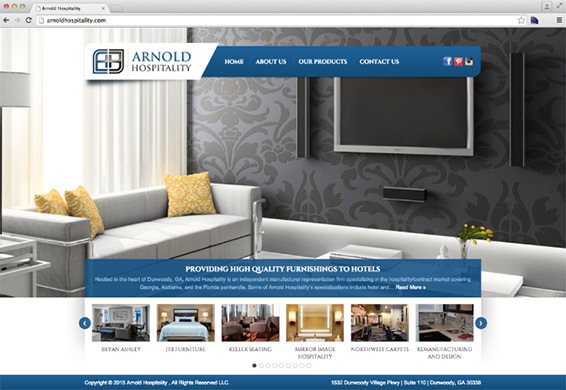 We were asked by Arnold Hospitality to prepare a responsive layout to make sure the website will be usable and viewable on mobile devices. The whole process required a lot of craft, taking into account the provided designs were designed solely for desktop resolutions. Working with Rachel, the true design heart of Arnold Hospitality, a Georgia based independent manufacturer representation firm specializing in the hospitality/contract market, was a fun and inspiring experience. 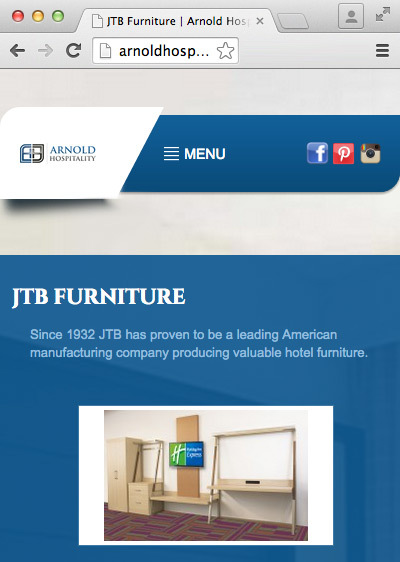 Some of Arnold Hospitality’s specializations include hotel and assisted living furnishings for guestroom and public areas, including casegoods, seating, carpet, mirrors and lighting as well as upscale outdoor seating. A company with such specialization requires a website with emphasis on products presentation and easy content management at any time. 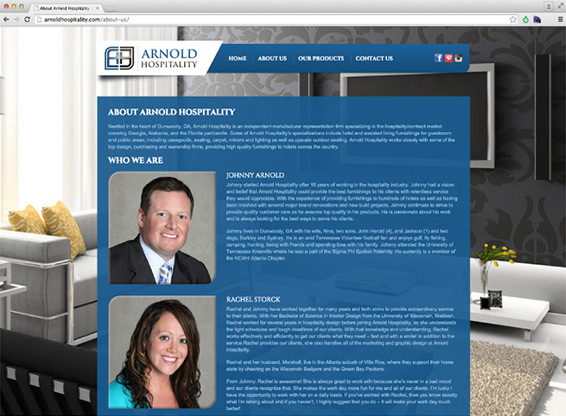 This functionality requirement has defined the website development approach we have taken when worked with Rachel on the Arnold Hospitality website. Our approach to website development with content management systems consists of two phases where we define the front end look and feel and the website element functionalities via front end templates development. We were asked to prepare a responsive layout to make sure the website will be usable and viewable on mobile devices such as tablets and mobile phones. The whole responsive layout creation process required a lot of craft, taking into account the provided designs were designed solely for desktop resolutions. 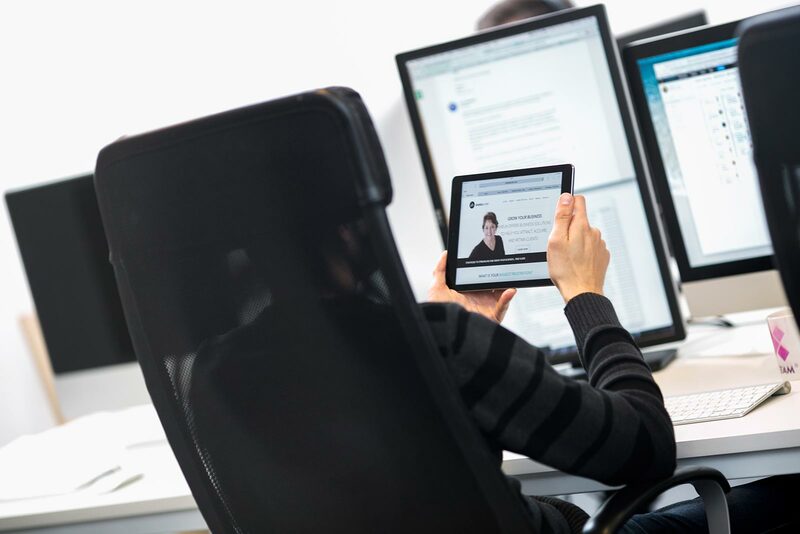 Xfive created responsive layouts for mobile devices based on the developer experience and best development practices. Rachel was pleasantly surprised with the results considering the lack of responsive-specific designs, and how nicely the front end templates performed in tablets and phones. WordPress theme development was prepared for kick-off right after the templates were reviewed. We kept the administration part as easy to use for Rachel as possible, making it easy to add and update website content. Our development team also prepared a how-to document for Rachel as a helpful reference. Deployment of the website went smoothly and Rachel enjoyed her website for a couple of months. She then contacted us again after her hosting provider caused the website to breakdown and she needed our assistance to backup, transfer and install her website files on her new web hosting service. 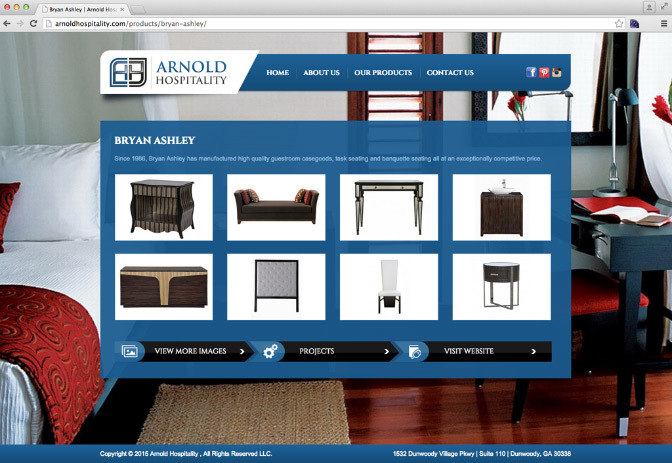 After contacting us, her website was installed and live once again within 48 hours (some additional time was needed due to DNS propagation) and her website visitors were once again able to browse the number of products and projects completed by the Arnold Hospitality company.